Application decision notifications will be emailed to you or by visiting the applicant status portal by logging-in to available by logging into education.jhu.edu/applynow. We ask that you, please notify us of your decision to accept an offer of admission by submitting a response via the application portal that you submitted your application. If you choose not to accept and offer, please use the same offer response form listed above to decline the offer. If your program requires an enrollment deposit, you may make payment through a major credit card directly after submitting your offer response. Once your response is submitted, please proceed to complete the steps outlined in the Newly Admitted Student Checklist located in the Admitted Student Portal. A copy of this checklist has been provided in the Admitted Student Checklist listed below. The time frame for responding to your admission offer in the Admitted Student Portal is approximately two weeks from the date you received your admission decision email notification or based on the due date provided by the program you have been admitted. If we receive no response for the term you applied, your application will be administratively withdrawn at the start of the semester. If you wish to be considered for a future semester after you have been administratively withdrawn, you will be required to submit a new admissions application and application fee. 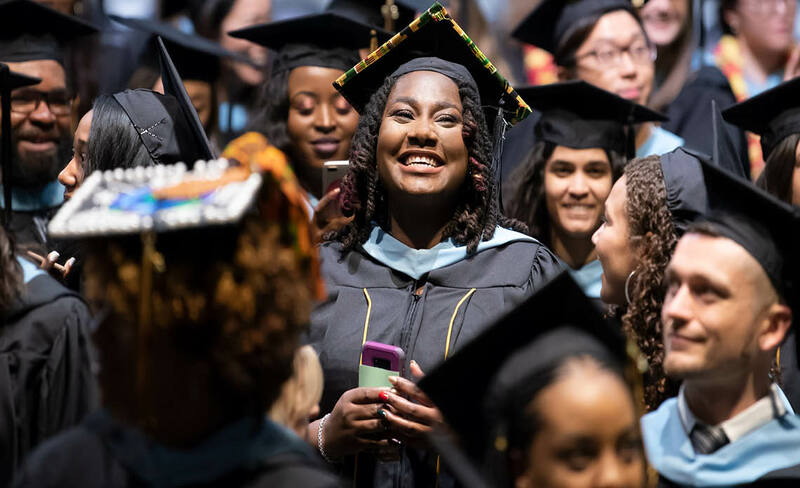 If unexpected circumstances are preventing you from starting your JHU SOE degree program in the term you were admitted, you may request to defer your enrollment for up to the next period of your admission if deferral is offered by the program of study you were admitted. Only select SOE degree programs permit the deferral of admission, others do not (see below); however, deferral of admission is not automatic. SOE degree programs permitting deferral will require a new application if the student does not enroll in the deferred term originally designated. Deferral of admission is limited to one request per admitted program. All deferral requests are subject to review and approval by both the Program and the Admissions Office. If the deferral is denied or the deferred student cannot enroll in a program for the approved term, he or she will have to submit a new application. Supplemental application materials for previously submitted applications are retained in the Office of Admissions for up to two years. Applicants who did not request an admissions deferral by the start date of the original semester admitted will be required to submit a new online admissions application. To request a deferral of admission, complete the Deferral Request Form. You will receive an email from the SOE Registration Office requesting that you activate and set-up your Johns Hopkins University Enterprise Directory (JHED) ID and JHU email account. JHED is a university-wide online directory of students, staff, and faculty. New students need to locate and activate their Login ID. The JHED ID and password give admitted students access to a variety of JHU online resources, including online registration and online library services. International Students: You must use the last 5 digits of an assigned “988” number in place of a social security number when logging into JHED. This number is not a US Government issued social security number and is only active within Johns Hopkins. You will be provided with this Government ID via email within 24-48 hours of this notification. Please email the SOE Office of Registration at soe.registration@jhu.edu with any questions about obtaining a “988” number. If you already have a JHED ID because you are a former student or employee at JHU, you will not receive an email. For instructions on activating your JHED, go to this tutorial to locate your JHED ID. All students will need their JHU e-mail account to register for classes. The University sends correspondences such as billing statements, universal announcements, and academic communications to your JHU e-mail account, so it is important for students to both activate and monitor this e-mail account. Log into the University enterprise portal. You will be prompted to “Accept the Office 365 Terms of Service” in order to set up the account for use. Scroll down to the bottom to accept. Once the Terms of Service has been accepted you will see the “Office 365 Quick link” on the left side of the portal page. Your e-mail should now be established. It may take an hour for your “E-Mail Alert” to be removed from your record. You can access this e-mail from the home page of the myJHU website. If you are an international student who has come to the U.S. on a JHU sponsored visa, you must complete your visa paperwork with the Office of International Services (OIS). Their email address is ois@jhu.edu. If you need a pdf of your admission offer letter on university letterhead, please email soe-admissionsupport@jhu.edu. If you submitted your application after September 4, 2018, you may print a pdf of your admission decision letter. Log-in to the Student Information System (SIS) portal using your JHED ID. This information was emailed to you after you accepted your offer of admission. To locate your assigned advisor, navigate to the Registration Tab and select Program of Study Info. from the drop down. Contact your academic advisor to receive a course plan for your program of study. If you academic adviser is not available, please locate the academic program coordinator located under the Contact an Academic Program section of the Admissions website. In SIS, select the Registration Tab to search and register for courses in the term that you were admitted. *Teach for America (TFA)/TNTP Students: Please do not register for any courses until you receive communication from the JHU School of Education TFA office. If you are unable to see the SOE Student Orientation in your course list, this indicates that you have not officially registered for courses in SIS. Click here to learn about how to apply for financial aid available to US citizens and eligible non-citizens through the FAFSA, and to learn more about partial scholarships available through the SOE Endowed Scholarship Program. For information on tuition, fees and payment plans, including employment-based tuition programs, please click here for Student Account Services. Visit the MBS Direct online store to begin purchasing your textbooks. The bookstore opens 4 weeks before the start of the semester/term. If your book is not listed at that time, no textbook information has been entered by the instructor. If that is the case, please keep checking back as information is updated daily before the semester start. Orders can also be placed by phone 800-325-3252 or fax 800-499-0143. For questions about your book order, contact MBS customer service at 800-325-3252. It is important for the University to have an emergency contact for you, in the case of an emergency. Please enter this information in the SIS. Log into SIS and hover over the “Personal Information” tab. Emergency contact is the third option under “Personal Information.” Please complete this information prior to beginning of courses. JHED Questions – Email SOE IT office at soe-it@jhu.edu or call 410-516-9747. They will respond in a 24 hour period. If you have any other student resource questions, email soe.students@jhu.edu or call 410-516-9734.